A customizable e-Commerce platform to start your online business. If you want to build your online business, WooCommerce is the platform for you. It gives you the control to sell anything, anywhere using an expendable and adaptable open-sourced platform to build the store for your clients. Free: Most eCommerce platforms on the market come at a heavy price which isn’t ideal for entrepreneurs starting out. 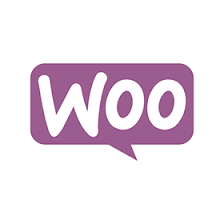 But thanks to WooCommerce, they can now build their online market 100% free of charge. Anything goes: One of the biggest benefits of WooCommerce is the fact that you can sell anything. Merchants using the platform can sell anything from physical products and digital downloads to subscriptions and even appointments. Limitless: Users can modify and customise just about anything and everything. You have complete control over literally everything. You can control the amount of products you’re selling, the amount of customers and even the amount of orders you can take. WordPress: WooCommerce is built on WordPress which supports over 51% of the top million websites. If you are already using WordPress, the WooCommerce platform can allow you to work with your favourite WordPress plugins so you can keep the features you like. We can help design and implement your e-Commerce Store. If looking to deploy an omni-channel solution we can fulfill all your requirements for e-Commerce and the accompanying hardware.